Snapchat’s stock price fell 5% last night, after Rihanna criticized the company for running an offensive ad on their platform that made light of the violence she suffered at the hands of Christ Brown in 2009. That drop represents almost a billion dollars in lost stock value, according to Reuters. 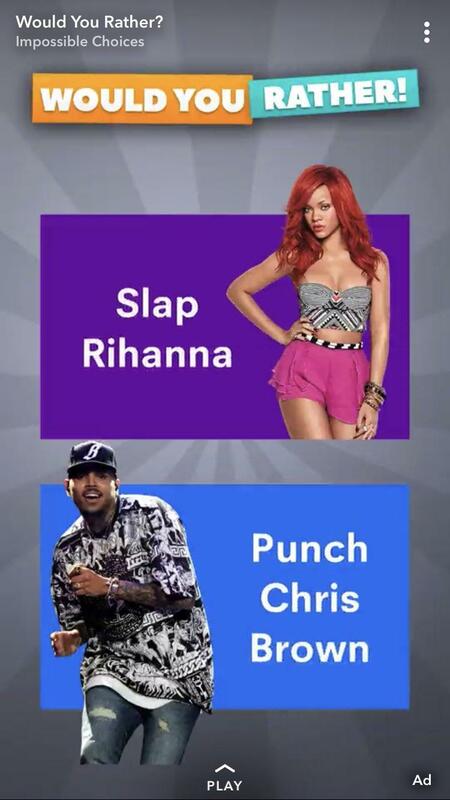 The ad was for a mobile game called “Would You Rather.” It featured photos of Rihanna and Chris Brown and asked whether players would rather slap her or punch him.